Children that are not yet in kindergarten are considered "Pre-K" regardless of whether they are in pre-school or not. 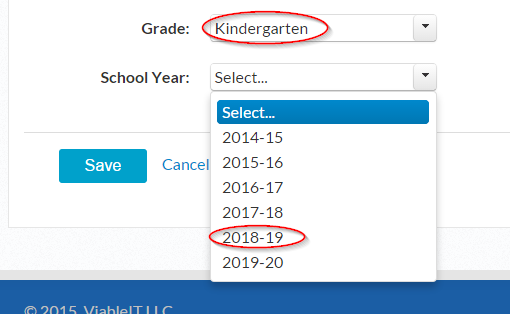 To add a pre-kindergartner to your family account select "Kindergarten" as the grade and then select the school year when they will be attending kindergarten. NOTE: Eligibility rules for Pre-K also have an "age as of date" requirement such as, Pre-K and 5 years old as of mm/dd/yyyy.